In Media Res has run a two-week series on GIRLS in conjunction with the show’s season two premiere. Week 1 focused on the text of the show, and Week 2 is focusing on reception. 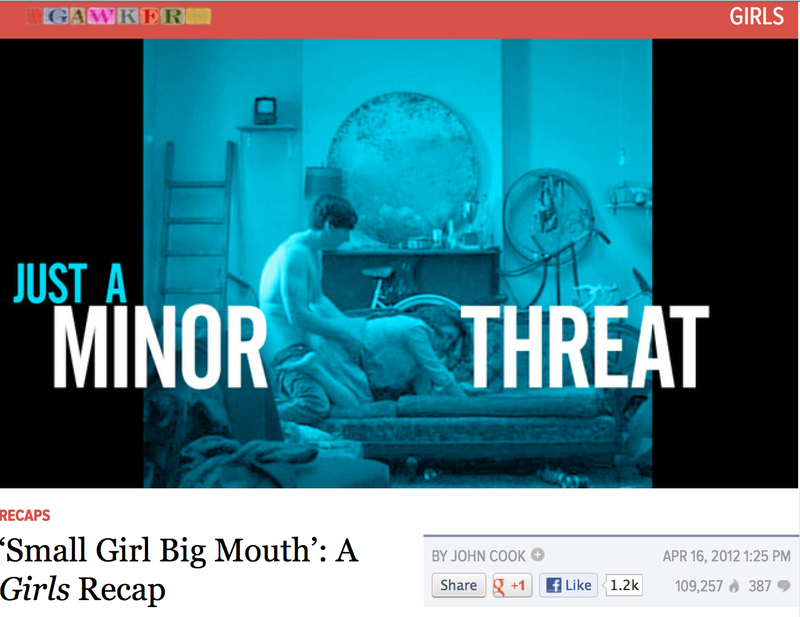 My post curating John Cook’s recaps on Gawker appears today, as part of this week’s theme on reception. While popular, the Gawker recaps are surprisingly difficult to find through the Gawker search engine, so I’ve posted them here as well in case anyone wants a further look.